on bracketville, we'd play the Cuse in Rnd 2 and have Michigan, Nevada, and North Carolina in our bracket. I believe that. 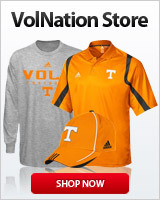 I guess that would make the Vols the last #1 seed or the top #2 seed, right ? No he’s got the Vols as the #1 overall seed! Which would probably make them the last #1 seed or 4th of 4, #1 seeds, right ? I don’t think they follow the natural region principle that closely. After the top 4 seeds are bracketed they check for a disparity in strength. They add up the seed order and none of the regions can vary by more than 5. (Ie Vols #1 overall + Michigan #5 + UNC #9 + Syracuse #13 = 28. Then compare to the other regions. Brutal, tho. What do they call it in soccer, the "Group of Death" or something similar ? That would be the "Region of Death"
Isn't the committee supposed to provide a mock top 16 this upcoming week? I can see your bracket working. Tennessee v Texas and Duke v UK are the kind of match ups that “just seem to happen” come tournament time.